Penn Equipment Corporation is now offering aftermarket ground engaging tools at discount prices. To name just a few we have under carriage parts, mufflers, pins, bushings, hydraulic pumps, cylinders as well as other accessories. 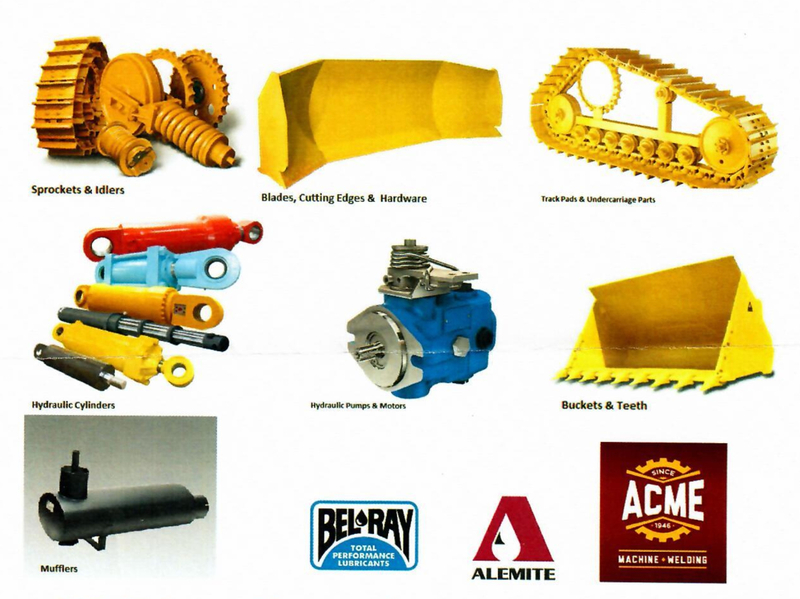 We are also a distributor for Bel-Ray Grease, Alemite Lubrication Equipment & Fluid Handling Products, and Acme Machine for all your 4600 Manitowoc and Crane parts. Please call, fax or email with any questions you may have on pricing and availability. Penn Equipment Corporation is an industrial machine shop specializing in welding, and both hydraulic and pneumatic cylinder repair. We are conveniently located directly off State Route 209, only miles from Route 61 and route 81.